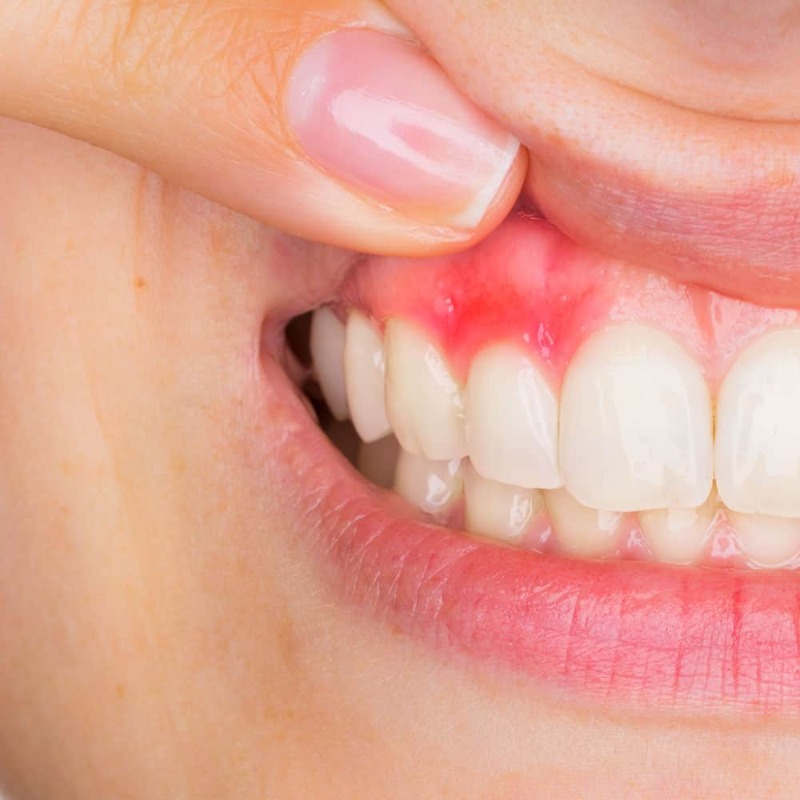 What is a dental abscess and what do they look like? These affect either the gum or the tooth. Therefore you will have either a gum abscess or tooth abscess. 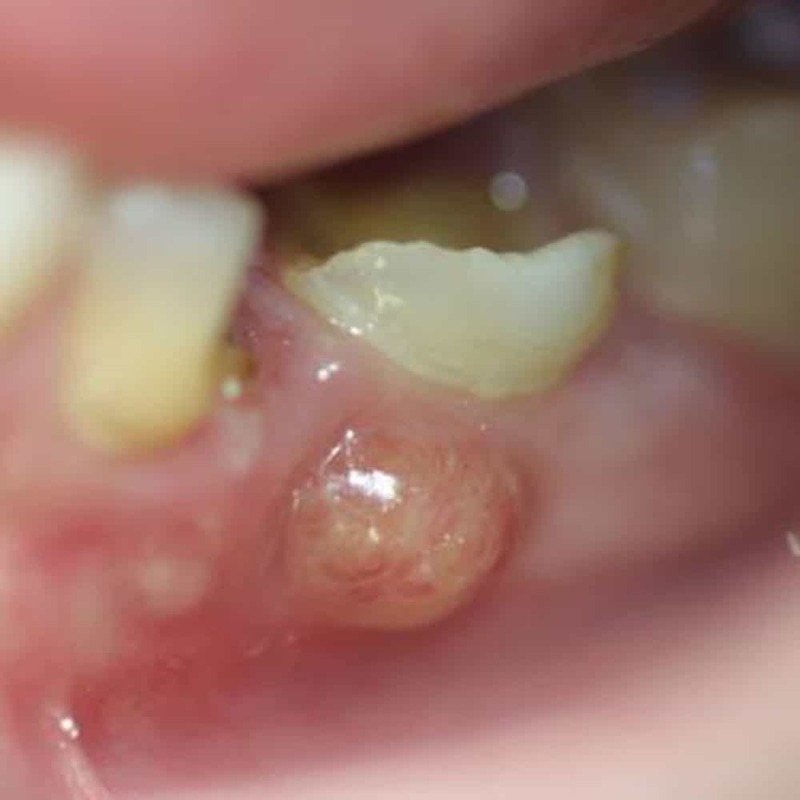 Calling them a tooth or gum abscess is simpler terminology for a mouth abscess, but to dentists and dental professional who actually treat the abscess for you, they are classified further. Decay (caries) is a common reason for the damage of the enamel and dentine, but trauma to the tooth can also cause this to happen. If you believe you are suffering with an abscess or tooth infection you may show one or more of these symptoms. You need not arrange an emergency appointment, but you should book to visit your dentist as soon as is possible. Avoid making an appointment with or seeking assistance from a GP, as there is little they can do. If you do not have a dentist, find one quickly, be that NHS or private. The NHS non-emergency support line 111 can assist in giving you details of dental services in your area. Should you be suffering when your dental office is closed, it is possible to seek out of hours treatment for the most severe cases. If this proves unsuccessful, try the NHS 111 number for advice. 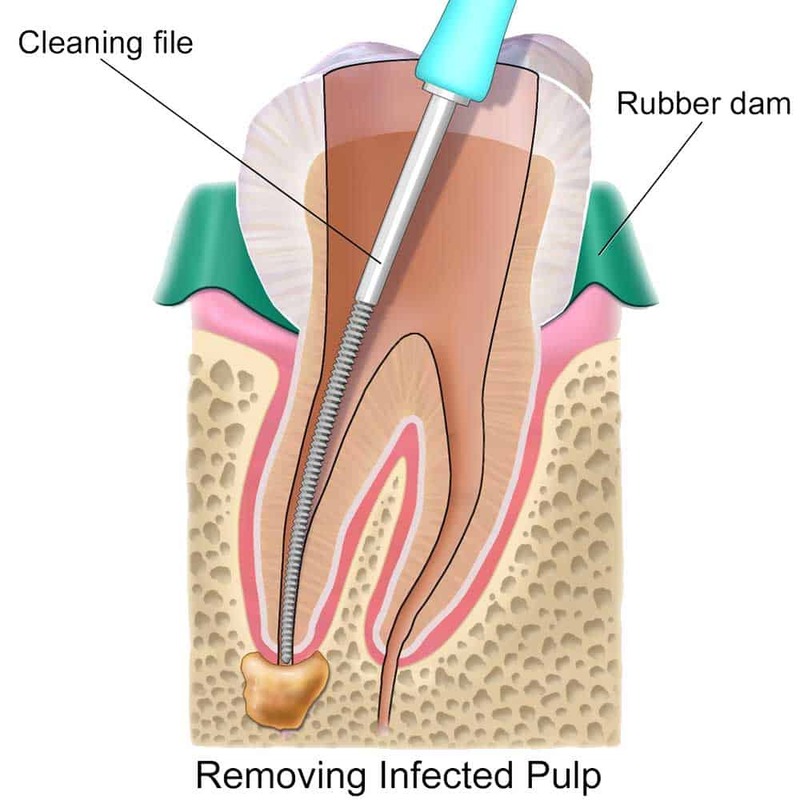 Removing the source of the infection is key for dental abscess treatment. Further treatment will be required to address the real cause behind the abscess., such as untreated periodontal disease. The cost to deal with an abscess on the gum or tooth will depend to some extent on the treatment required and whether you are getting treatment on the NHS or privately. 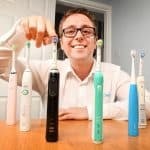 A gingival abscess might well be covered under a routine treatment, which is classified as Band 1m or an emergency Band 1.2 within the NHS pricing structure and at the time of writing costs £20.60 (England), £14 (Wales) or approx £10-12 in Scotland and Northern Ireland. However, periodontal of periapical abscesses will require additional treatment. This type of treatment is typically covered by Band 2, which is £56.30 (England), £45 (Wales) or approx £20-40 in Scotland and Northern Ireland. In England and Wales a root canal treatment is included in this price too. However, as a knock on effect of root canal treatment or extraction, it may well be necessary to undertake further work. If you require a denture to replace the extracted tooth or perhaps a crown for the root canal treatment, this falls within the highest band, Band 3. The cost is £244.30 (England), £195 (Wales), or approx £75-110 in Scotland and Northern Ireland. 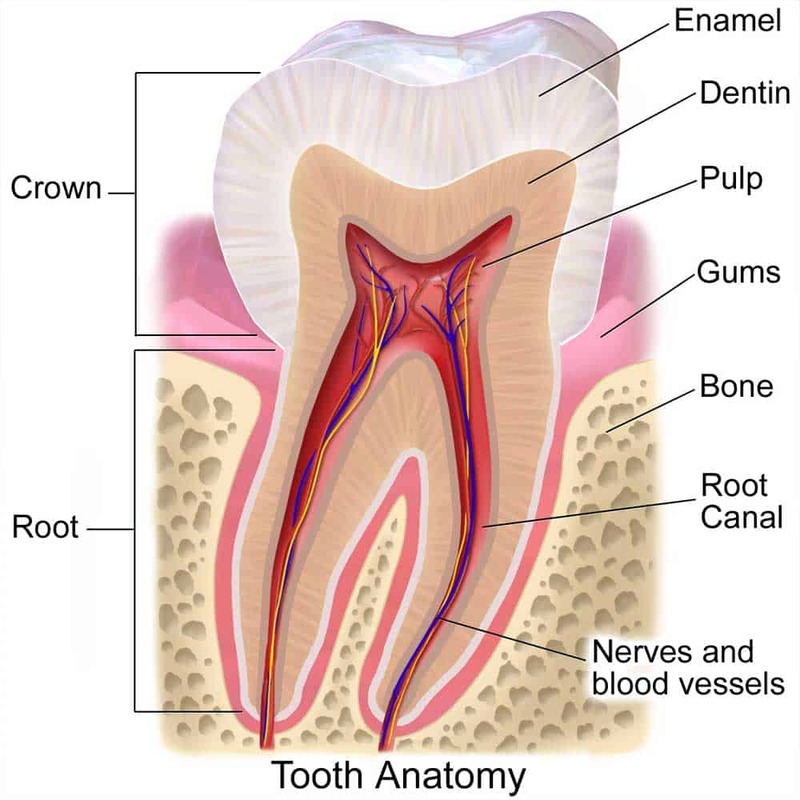 The good news is, that if you required a root canal and a crown, in England and Wales you would not pay for the root canal as part of Band 2 and then Band 3 for the crown, both treatments are included in the higher price of £244.30/145. If you have the work carried out by a private dental practice, it will typically be more expensive. There is also greater variance in the cost. 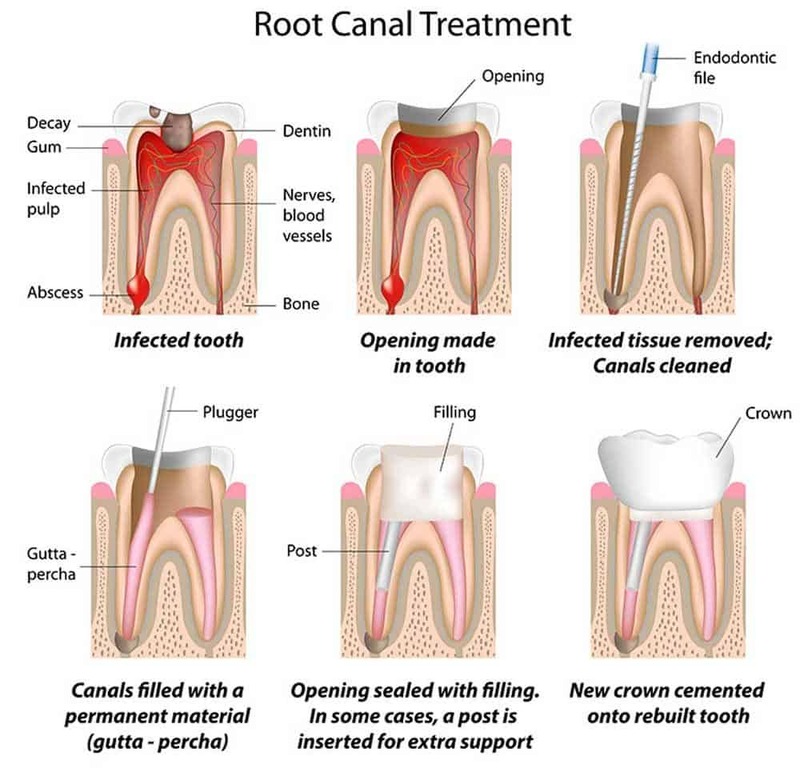 A root canal treatment can cost from about £95 up to £700 and a crown anything from £350-1100. The abscess if left untreated will eventually find a way of emptying, or discharging. If simple measures like this do not help, ibuprofen is the NHS recommended painkiller for dental abscess. Advice can be sought by calling NHS 111, where trained professionals can give further assistance and guidance. The National Radiological Protection Board (UK) gives guidance to dentists about x-rays, and explains that the radiation dose to the pelvic area is so small that potential risk to a developing baby is almost zero. For this reason x-rays during pregnancy are, for the most part, safe. However if a pregnant women decides she does not want an x-ray, this will always be respected. However, treatments such as a root canal treatment, whilst perfectly possible will not be carried out that frequently in a child’s tooth. Hayley, sorry but we can’t help remotely on this subject. It is somewhat surprising your dentist can’t help or refer you to someone who can. We advise researching locally your dentists and getting an in person examination to ensure you get the best assistance.